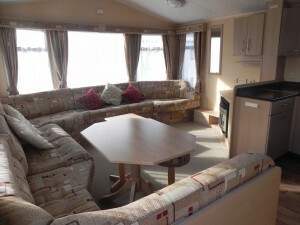 28′ x 12′ Luxury,modern caravan. Two bedrooms – one double and one twin. Sleeps maximum of 4. 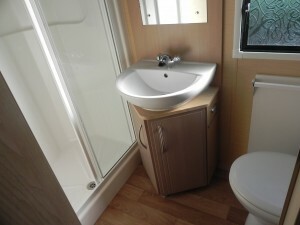 Spacious shower room / WC. 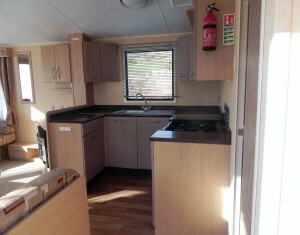 Fully fitted kitchen with full size cooker (calor gas) ,fridge, microwave. Freesat Sky TV. No pets allowed in this caravan. No Smoking.